Are you an adult with misaligned teeth? Do you regret not having orthodontic treatment when you were a teen? It’s not too late to straighten your teeth – and there are more types of clear braces available than ever before. Perhaps you are not familiar with the latest developments. Here is a quick rundown of the most common types used in cosmetic dental practices. 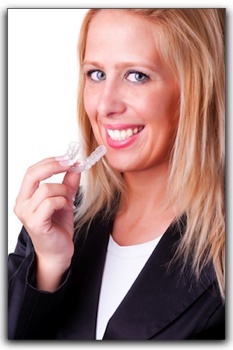 ClearCorrect braces are one of the most popular types. They look much like an athlete’s mouth guard. People love them because they are removable for meals and when you floss and brush. They don’t need to be worn around the clock, but they do need to be worn most of the day and night. Six Month Smiles are another type of clear braces. These are similar to traditional braces, but are made with clear and tooth-colored materials to make them less conspicuous. Once the orthodontia patient has completed treatment, he or she needs to wear a retainer to keep those newly-aligned teeth in place. The traditional Hawley retainer consists of a metal wire that surrounds the teeth and holds them in line. Clear retainers that fit teeth like a glove are coming into vogue. ClearCorrect braces and Six Month Smiles are both available from Mirelez Wellnes in Fresno. Schedule a consultation with us today.